The ISOMETER® of the IRDH275 series is designed to monitor the insulation resistance of unearthed main circuits (IT systems) AC, AC / DC 0…793 V resp. DC 0…650 V. The AMPPlus measuring principle meets the particular requirements of modern power supplies which often include rectifiers, converters, thyristor-controlled DC drives and directly connected DC components. In these systems often high leakage capacitances against earth occur due to interference suppression measures. 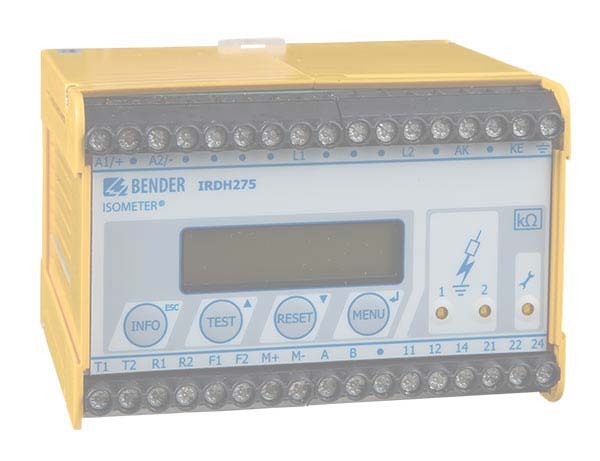 The IRDH275 automatically adapts itself to the existing system conditions. 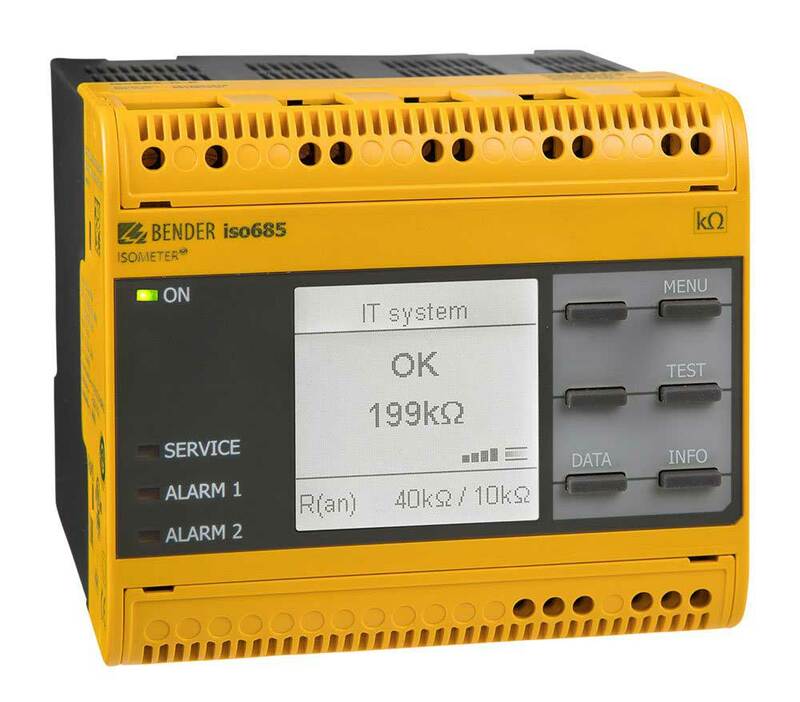 In combination with a coupling device, the Isometers can also be used for higher voltages. An external supply voltage allows de-energized systems to be monitored too. For door mounting into distribution panels, refer to type IRDH375(B).